“I would populate the world with a bunch of illegitimate kids. 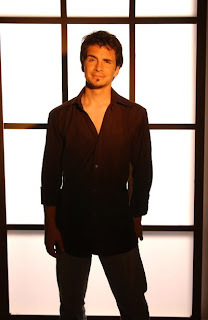 Either that or be a very expensive teacher,” Hal Sparks said. This is what Sparks, best known for his role on Showtime’s ‘Queer As Folk,’ and VH1's ‘I love the...’ series’, says he would be doing if stand-up comedy and acting didn’t work out for him. After a few years in Chicago, Sparks shipped out west to Los Angeles to perform at comedy clubs such as The Improv, The Comedy Store, The Laugh Factory and The Ice House. He also participated at Comic Relief’s American Comedy Festival.